‘Alapaap’ is a Filipino word that means 'sky'. In contrast, reverse its spelling, the phrase ‘Paa Pala’ or ‘a feet’ in english will be formed. 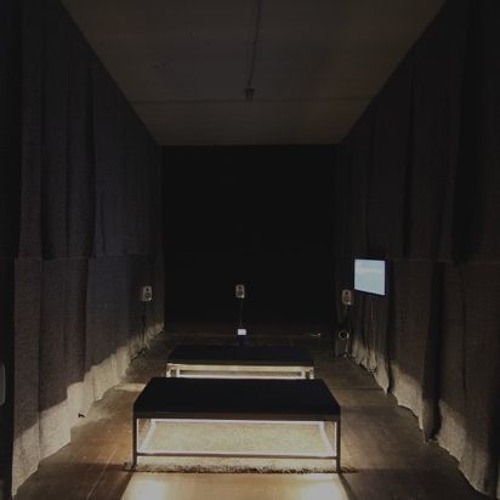 Here, personal archives of sound walks in Botanic Garden and Mount Makiling (from 2016-present) within the vicinity of University of Los Banos, Laguna was used as an element to translate the concept of identity & isolation, physical struggle with gravity, and encounter with nature of the artist. This composition was exhibited in Liege, Belgium on January 12 to February 9, 2019. Dock is a soundscape project organised and curated by Paul Devens and Cedrik Fermont that deals with the concepts and myths of architecture, the immersive and imaginative powers of recorded sounds against the backdrop of movements and conflicts in the history. The space, where all of this comes together, is Les Brasseurs, a non-profit art space in the centre of Liège. Here, an installation will be built, based upon the floor plan of the Ancien Palais de Justice of Dakar (the old court of justice). In an adjacent room in Les Brasseurs, there will be a 'black box'; a space dedicated for listening, consisting of a surround sound installation, playing soundscapes.